Morning, loves! It's the weekend again! What do you have planned for this weekend? I am loving that it's sunny in Sydney this morning - and I'm hoping the sunshine sticks around for the entire weekend! 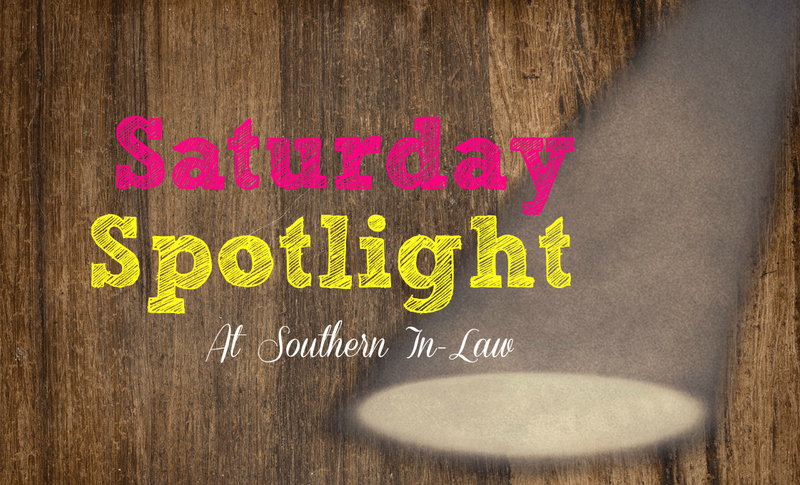 I've got a fair bit of freelance work to get done this weekend, however, I'm hoping to fit in some baking so that I have some lovely things to share with you this weekend! What recipes would you like to see at Southern In Law soon? First up, I want to share some brilliant products with you! 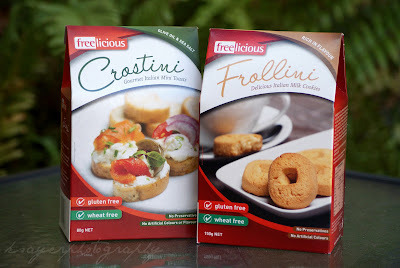 Freelicious is an Australian based company that specialises in gluten free products - and it's a company whose products I love! 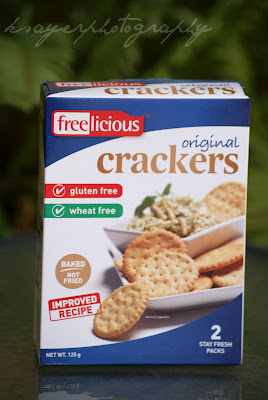 The Freelicious Crackers are a staple in my pantry. The new and improved recipe is just like a gluten free ritz cracker! They're great for kids and adults alike and are perfect for whatever topping or dip you like. I love that they come in two separate stay fresh packages as I'm the only gluten free-er in my house! The original flavour are just simply salted so you can pair them with just about anything! A common snack you'll find me eating is Freelicious Crackers with Cheese - laughing cow is a perfect portable option. I also love to add some dates and/or an apple for the perfect mix of flavours! Do you like eating sweet and savoury combinations? or do you think that fruit and cheese is just plain weird? Before I discovered gluten was the cause of many of my GI woes, I loved bagel chips. No.. lets be honest.. I was kind of, sort of, obsessed with bagel chips. There were no gluten free bagel chips to be found and I was devastated. I managed with gluten free crackers until January when I stumbled across the Freelicious Crostini in the supermarket. Now.. I'm the type of person who will happy dance and get incredibly excited over new gluten free products that I can eat - and the crostini was one of these! They don't contain any "nasties" that I can't eat and they're crunchy, golden and delicious. They're mini toasts that are perfect for gluten free entertaining. I love them on their own or with cheese or dips. Also in their Italian style range is there Frollini. Frollini are a traditional Italian shortbread style cookies - only these ones are gluten free! They melt in your mouth and have just the right amount of sweetness. 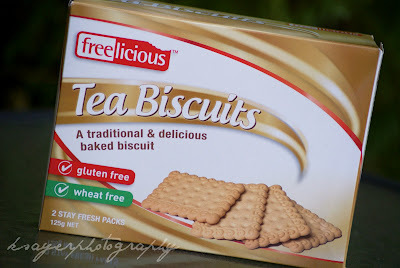 These are the gluten free biscuits you will want to put out when you have guests over for a cup of tea! Even my gluten eating family love them! Freelicious also have Gluten Free Tea Biscuits which are perfect to have with a cup of tea or to use in recipes. They're perfect for using in cheesecake crusts or for gluten free smores! (just make sure your chocolate and marshmallows are gluten free too! Like the crackers, they come in 2 separate stay fresh packs so if, like me, you're the only one if your house who can't eat gluten - you won't have to worry about wasting them! But that's not all - Freelicious have a wide range of gluten free products. Personally, I'm a big fan of their breakfast range which hopefully I'll be able to share with you in a future post! For now, you can pick up your own Freelicious products at Coles, Woolworths, Franklins and IGA stores around the country - so what are you waiting for! So tell me, what's your favourite snack at the moment? I don't think there's ever been a time in my life where I haven't been a fan of cheese and crackers. My snacks at the moment are either that, protein muffins or protein brownies or cottage cheese and nut butter/nuts/cereal/fruit. It's great that there are a much wider range of gluten-free snacks and other products available. When my boss was first diagnosed as Coeliac (and a whole host of other food sensitivities) close to 10 years ago, his poor diet was really restricted and not very tasty! It's excellent! In a way, I'm glad that I didn't find out until this year that I was a coeliac - as there was so little choice! I had a friend whose mum was a coeliac (and she was gluten intolerant) and I remember them having awful brick-like bread that looked and smelt terrible and had to be wrapped in foil and kept in the fridge haha.